Solotex is a premium plus 100% acrylic elastomeric coating system designed for exterior use on concrete, stucco, plaster and masonry vertical surfaces. Excellent long term elasticity and elongation under normal and extreme weather conditions. This high build coating effectively fills and bridges cracks up to 1/16 of an inch and exhibits excellent resistance to dirt pick up. Solotex is water resistant and has superior adhesion and durability. 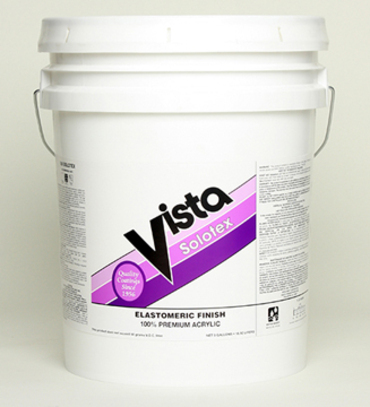 Recommended Uses: New or previously painted concrete, masonry, plaster and stucco surfaces.